Pupil Premium is additional funding given to schools to address the current underlying inequalities between children eligible for free school meals (FSM) and their peers by ensuring that funding to tackle disadvantage reaches the pupils who need it most. The pupil premium was introduced in April 2011 and is allocated to schools to work with pupils who have been registered for free school meals at any point in the last six years (known as ‘Ever 6 FSM’). Schools also receive funding for children who have been looked after continuously for more than six months, and children of service personnel. The Government believes that it is for schools to decide how the Pupil Premium Grant (PPG), allocated per eligible pupil, is spent, since they are best placed to assess what additional provision should be made for the individual pupils within their responsibility. Schools are required to publish online information about how they have used the Premium. This is to ensure that parents and others are made fully aware of the attainment of pupils covered by the Premium. At Roxbourne Primary School, we pride ourselves on having high aspiration and ambition for all pupils, regardless of their background. We intend to set children up to have the skills, knowledge and confidence to succeed. We have high expectations for all of our pupils, and believe that with great teaching and a lot of love and care, every child can fulfil their potential. As an inclusive school, Roxbourne Primary School strongly believes that no pupil should be disadvantaged as a result of background and ensures that resources and support are also provided for children who may not necessarily be eligible for free school meals or looked after, but who have been identified by the school as being at an educational disadvantage compared to their peers. This support is funded out of the school’s main budget. Programmes involving children who are eligible for the grant as well as those who are not are often part-funded by Pupil Premium, proportional to the children they benefit. Make decisions about the spending of Pupil Premium funding based on educational research and best practice. Make decisions about the spending of Pupil Premium based on our knowledge of the children and their families. Ensure that staff are aware of the potential barriers to learning for FSM, PP and LAC pupils. Track the attainment and progress of disadvantaged pupils as a group and ensure this is in line with the progress and attainment of the wider cohort. Measure the success of the PPG investment against the extent to which we overcome educational disadvantage by closing the achievement gap between disadvantaged pupils and their peers. If you are in receipt of the following support packages, we urge you to apply for additional government funding called Pupil Premium. Child Tax Credit (CTC) – Without Working Tax Credit – issued to you by HM Revenue and Customs, ensuring that your income is no more than £16,190.00 (as assessed by HM Revenue and Customs. The extra funding can provide extra support, such as extra tuition, additional teaching support or out of school activities. 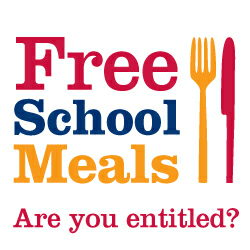 Additionally, if your child is in Years 3 – 6, they will be entitled to a free school meal. For both Pupil Premium Funding and free school meals (see below), you can apply by visiting the link below.